At Pro-Health®, we’re constantly exploring new ways to balance environmental sustainability and deliver the highest quality, Non-GMO produce possible. We’ve been innovators in this industry since our inception. After pioneering smarter cleaning, sorting and storage practices, we continue to search for opportunities to lessen our impact on the environment, surpass quality standards and exceed customer expectations. Our practices are constantly evolving, giving you confidence in knowing that you’re buying a product from a company with a focus on the future. We’re committed to providing better produce from our fields to your table. This begins with new growing regions in Nebraska and Texas. Unlike the other major growing regions, our new growing regions allow us to grow the majority of our potatoes in soil that has not produced potatoes before, also known as “virgin soil”. 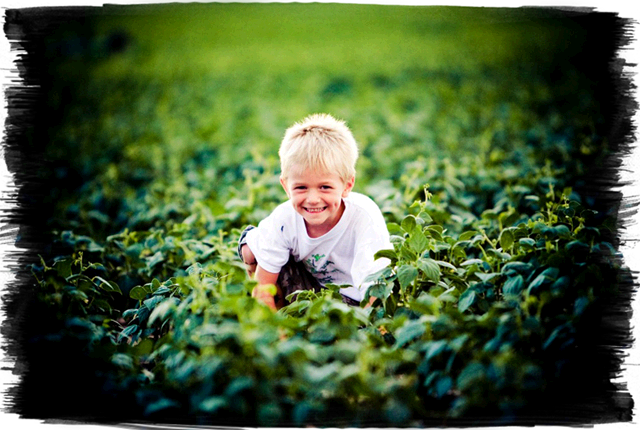 Because of the advantages virgin soil offers, we aren’t forced to use soil fumigation or soil sterilization. Growing Green, doing more with less: By developing new growing regions central to the United States, Pro-Health has been able to harvest a higher-quality potato, reduce its carbon footprint and deliver freight savings to its customers. Pro-Health has also adopted Variable Rate Technology (VRT) and Global Positioning Systems (GPS) for precise fertilizer and chemical application. By using these technologies we’re able to grow potatoes with more consistent size and quality, using less chemical and fertilizer than conventional growing. Our unique quality control practices include statistical analysis of the crop into storage by field, environmentally controlled storage facilities and innovative technology for cleaning, sorting and packaging. Value lies in our investment to assure quality control and our dedication to going above and beyond the norms of traditional farming practices. We know that smart products begin with smart practices. Our new state-of-the-art storage facilities, customized with energy efficient cooling systems, keep our potatoes fresh up to 10 months. Our custom control panels are set to automatically adjust fan speed based on return air to supply air temperature. Simple translation? Our potatoes stay within one-tenth of a degree from their ideal storage temperature, all while using the least amount of energy possible. The potato’s skin is its most nutritious part, containing nutrients like fiber, potassium, iron, calcium, zinc, phosphorous and a variety of B vitamins. Our unique practices allow you to enjoy every ounce of your Pro-Health potato, including the skin! To help preserve the freshness of the potato’s skin, Pro-Health has developed the Pure Wash System. This process first uses a high-pressure wash to remove soil and contaminants from the skin, then an all-natural ozonation rinse to kill any remaining bacteria, ending with a fresh water Ozone concentrated rinse – leaving you with a cleaner, healthier looking potato that you don’t have to scrub or peel. Just rinse it off and it’s ready to cook and enjoy! *It is always a good practice to rinse produce before consuming. 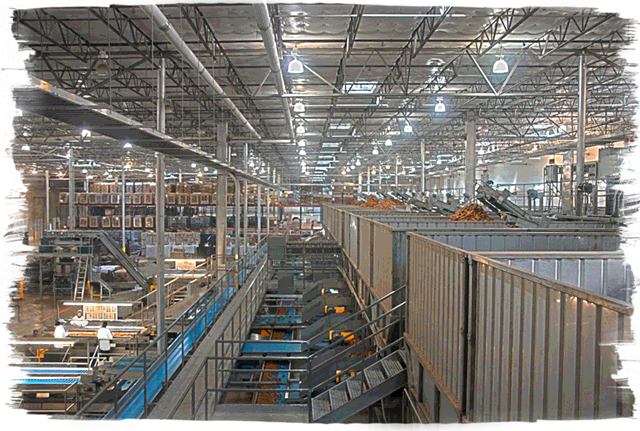 Pro-Health is the first company in the country to construct an all stainless steel potato packing facility. Significantly more sanitary than other metals used in the industry, stainless steel allows us to maintain a pristine production and packaging environment. As an additional level of sanitation, our facilities are treated atmospherically with Ozone each night to improve air quality and shelf life of the potatoes. This all-natural bacteria fighter keeps our produce fresh and virtually contaminant-free while it’s being stored, sorted and inspected. 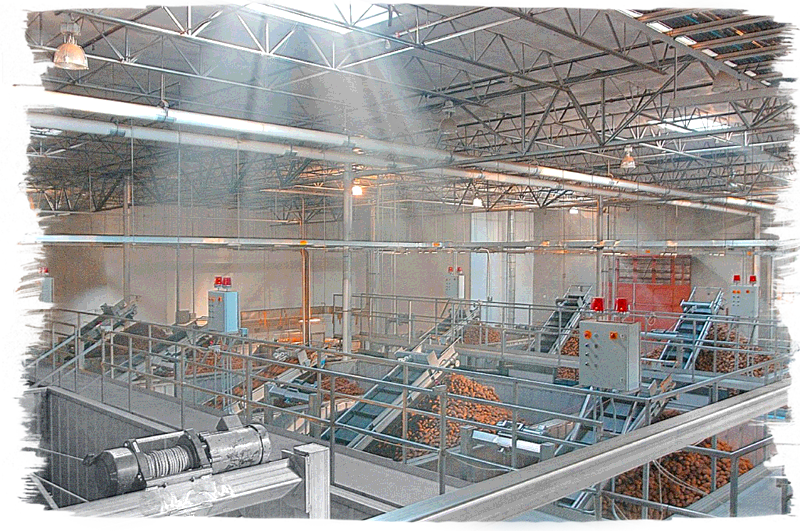 After the Pure Wash System, each potato is taken through our optical sorting equipment. 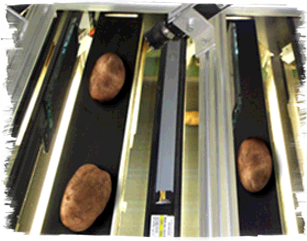 Using high-speed color cameras, each potato is analyzed for internal and external quality defects. Pro-Health’s quality standards not only meet but exceed those set by USDA and FDA regulations, ensuring that each potato goes beyond consumer expectations for consistent quality. After being washed, graded, sized and sorted, Pro-Health potatoes are visually inspected once more for good measure before being packed up and shipped out. Pro-Health goes to great lengths to maintain the integrity of our products, from our fields to your table. Pro-Health’s commitment to excellence even extends to our product packaging. Our Kwik Lok Tracker allows us to show you the true value and personal touch we put into each of our products. This unique seal not only ensures quality and freshness, it also helps tell the story of your potatoes, including: which field your potatoes were grown in, the Julian day they were harvested and even which bagging station processed your potatoes. Setting good examples for the generations to come is what we do at Pro-Health. From our growing practices, reducing our carbon footprint, to our Pure Wash System, our examples will lead to new innovation from the next generation. While the population continues to grow exponentially, our natural resources are becoming increasingly strained. This makes finding new ways to produce more food with fewer resources one of humanity’s greatest challenges. At Pro-Health, we’re constantly exploring smarter technologies that help us become more efficient in our management of water and other precious natural resources. Ninety-five percent of all Russet potatoes are grown in the western half of the U.S. This presents significant freight and environmental costs for most producers trying to reach the populous regions of the East and Southeast. 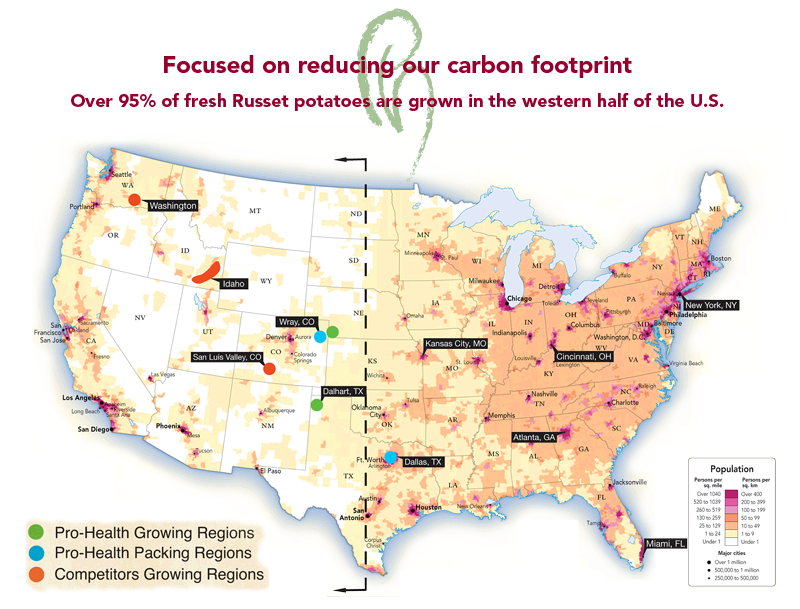 Because Pro-Health’s growing and packing facilities are centrally located and closer to the eastern half of the U.S., we’re able to ship a higher-quality product from our farm to the consumer while minimizing our carbon footprint – a greener delivery process for fresher food! Pro-Health goes to great lengths to maintain the integrity of our products, from the field to your table. Our produce surpasses the highest industry standards for safety and freshness so we’re able to ensure that you’ll receive a potato of the highest quality. And yes, we literally guarantee it. If you aren't 100% satisfied, please contact us for replacement product. The Pro-Health Guarantee Program is a mark of confidence in our ability to deliver the safest, highest quality product possible to your family—every time. Because we manage and oversee all aspects of the process - from growing, storing, cleaning and sorting to distribution - we’re able to guarantee its quality 100% from the farm to the store shelves. Contact us for more information on what makes Pro-Health – Simply Smarter™. It is always a good practice to rinse produce before consuming. 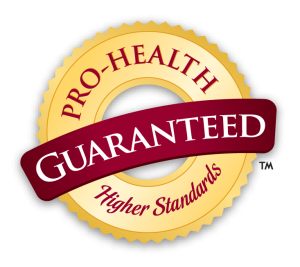 Pro-Health® is dedicated to delivering the highest quality, best tasting and cleanest produce--all backed by the Pro-Health Guaranteed™ program. Our innovative process of farming techniques, including our meticulous Pure Wash System™, brings you a Pro-Health Guaranteed product that has been thoroughly examined for the best overall quality and guaranteed satisfaction. If you're not satisfied, we're not satisfied.